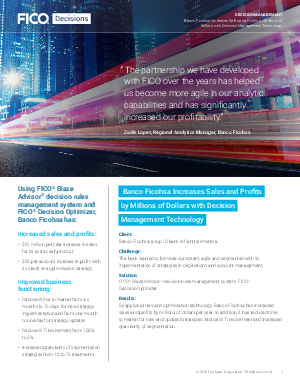 By applying rules and optimization technology, Banco Ficohsa has increased sales and profits by millions of dollars per year. In addition, it has reduced time to market for new and updated strategies, reduced IT involvement and increased granularity of segmentation. Download this white paper to learn more!